On behalf of the Madjid Samii Society of International Neurosurgeons – MASSIN and Southeast Europe Neurosurgical Society – SeENS, we are delighted to invite you to attend the 6th MASSIN Congress which will be held in Bečići, Budva, Montenegro, from October 26-29, 2017. It is dedicated to a special anniversary – the 80th birthday of Prof. dr Madjid Samii. In the last 40 years Prof. Madjid Samii deeply influenced the education of a large number of neurosurgeons who have become today’s leading neurosurgeons working in the five continents around the world. The majority of these doctors are responsible for the education of young neurosurgeons and are working to keep Dr. Samii’s philosophy. We envisage a rich, dynamic and thought-provoking scientific program, without specific thematic limits – presentations addressing all aspects of neurosurgery and neurosciences are welcomed. The invited speakers at this event will include the world’s leading experts in the field of neurosurgery, who will contribute to the exchange of new knowledge and skills. This Congress will have the patronage and support of all relevant Institutions of Montenegro. 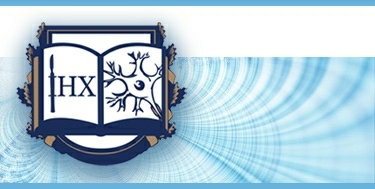 It will be hosted by the Southeast European Neurosurgical Society – SeENS and organized in coordination with the Association of Physicians in Montenegro, Clinical Centre of Podgorica / Clinic of Neurosurgery and Serbian Neurosurgical Society and endorsed by the Ministry of Health of the Republic of Montenegro. On this occasion we would like to inform you that official website of 6th MASSIN Congress has been launched and has many opportunities for online activities. Registration, abstract submission, travel arrangement booking (hotel accommodation, local transportation from/to airport etc.) and payment by credit card are now available online. Please click on the following link www.massin2017.me and do help us to serve and welcome you better. We are looking forward to receive your submissions soon.